A Pharm.D (Dr of Pharmacology) and a pair of MD’s surveyed much of the available scientific literature—both animal and human studies—and concluded that fructose is a major culprit in the rise of type 2 diabetes and prediabetes. Fructose does its damage by increasing insulin resistance. ScienceDaily has the details. Be aware that their conclusion is certainly not universally accepted. I read “Pathogenesis of type 2 diabetes mellitus” at UpToDate.com a few months ago and saw no mention of fructose. Under dietary factors, they mainly talked about obesity and how that increases insulin resistance, leading to elevated blood sugars, while the reverse happens with weight loss. I haven’t looked at all the research so I have no definite opinion yet on the fructose-diabetes theory; I’m skeptical. Fructose is a type of simple sugar. 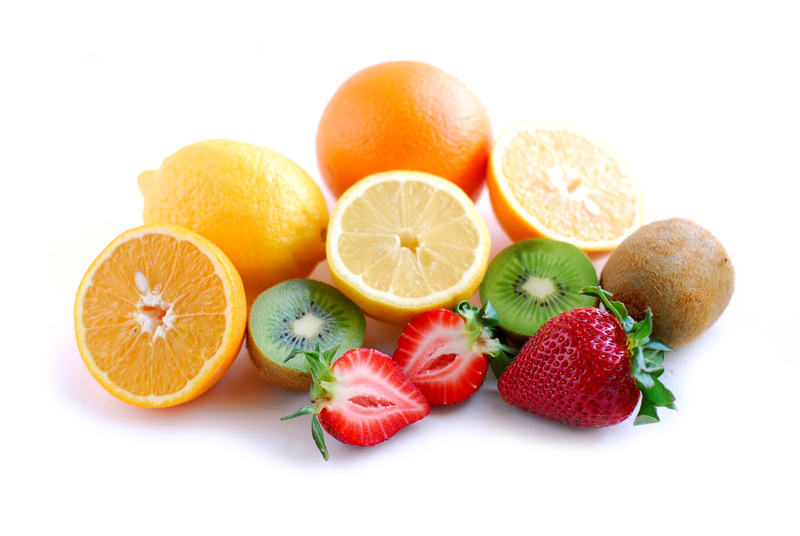 Common dietary sources of fructose are fruits, table sugar (aka sucrose, a 50:50 combination of glucose and fructose molecules), and high-fructose corn syrup (which is usually 42 or 55% fructose). While fructose is found naturally in some whole foods like fruits and vegetables, consuming these foods poses no problem for human health. Indeed, consuming fruits and vegetables is likely protective against diabetes and broader cardiometabolic dysfunction, explained DiNicolantonio and colleagues. The authors propose that dietary guidelines should be modified to encourage individuals to replace processed foods, laden with added sugars and fructose, with whole foods like fruits and vegetables. “Most existing guidelines fall short of this mark at the potential cost of worsening rates of diabetes and related cardiovascular and other consequences,” they wrote. If you’re eating a typical Western or American diet, you’ll reduce your fructose consumption by adopting the Paleobetic Diet, Mediterranean diet, or Low-Carb Mediterranean Diet. Perhaps we’ve been wrong about diabetes all along: the problem isn’t so much with insulin as with glucagon. At least one diabetes researcher would say that’s the case. Roger Unger, M.D., is a professor at the University of Texas Southwestern Medical Center. That’s one of the best medical schools in the U.S., by the way. Glucagon is a hormone secreted by the alpha cells of the pancreas; it raises blood sugar. (There are also glucagon-secreting alpha cells in the lining of the stomach, and I believe also in the duodenum.) In the pancreas, the insulin-producing beta cells are adjacent to the glucagon-secreting alpha cells. Released insulin directly suppresses glucagon. So if your blood sugar’s too high, as in diabetes, may be you’ve got too much glucagon action rather than too little insulin action. Dr. Unger says that insulin regulates glucagon. 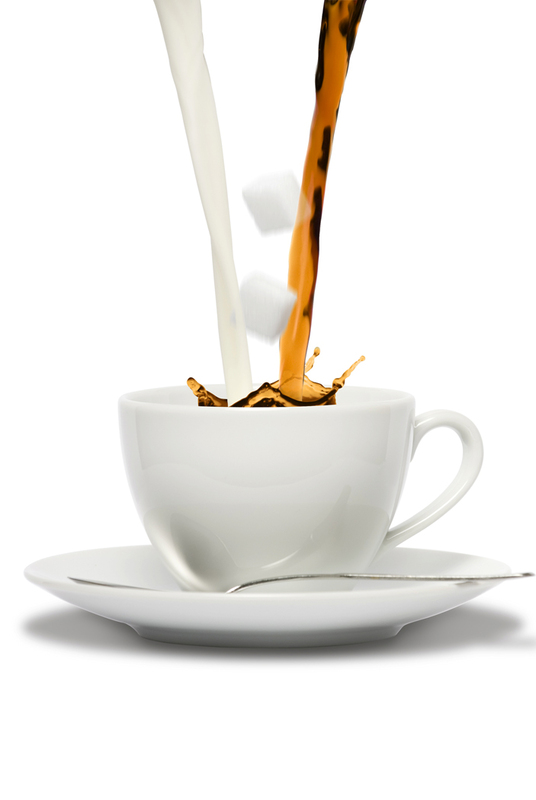 If your sugar’s too high, your insulin isn’t adequately keeping a lid on glucagon. Without glucagon, your blood sugar wouldn’t be high. All known forms of diabetes mellitus have been found to have high glucagon levels (if not in peripheral blood, then in veins draining glucagon-secreting organs). This is pretty well proven in mice. And maybe hamsters. I don’t know if we have all the pertinent evidence in humans, because it’s harder to do the testing. 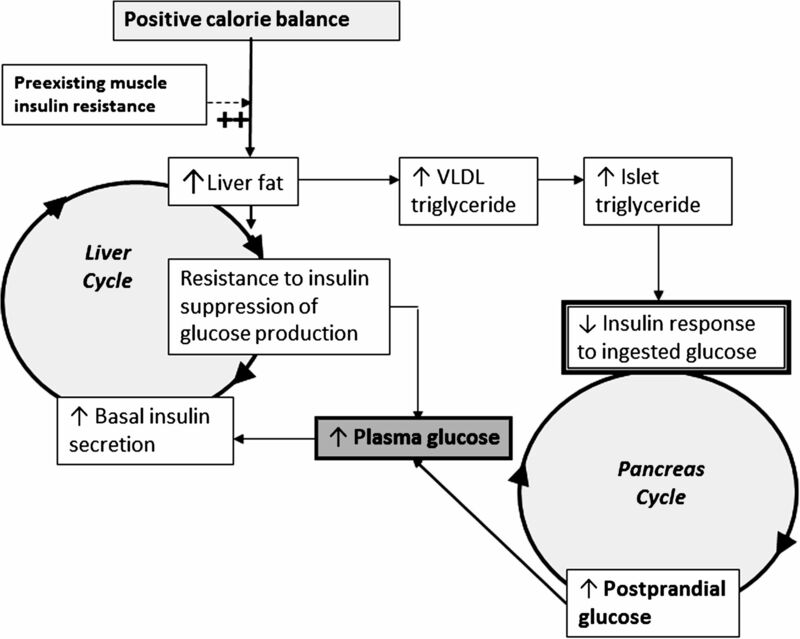 Here’s Dr. Unger’s glucagon-centric theory of the pathway to insulin-resistant type 2 diabetes: First we over-eat too many calories, leading to insulin over-secretion, leading to increased fat production (lipogenesis) and storage in pancreatic islet cells as triglycerides, in turn leading to increased ceramide (toxic) in those islet cells, leading to pancreas beta cell death (apoptosis) and insulin resistance in the alpha cell (so glucagon is over-produced), all culminating in type 2 diabetes. For a diagram of this, click forward minute 40 and 10 seconds in the video below. If this is all true, so what? It could lead to some new and more effective treatments for diabetes. Dr. Unger says that in type 2 diabetes, we need to suppress glucagon. Potential ways to do that include a chemical called somatostatin, glucagon receptor antibodies, and leptin (the latter mentioned in a 2012 article, I think). The glucagon-centric theory of diabetes also explains why type 1 diabetics rarely have totally normal blood sugars no matter how hard they try: we’re ignoring the glucagon side of the equation. I don’t yet understand his argument, but he also says that giving higher doses of insulin to T2 diabetics may well be harmful. I’m guessing the insulin leads to increased accumulation of lipids (and the associated toxic ceramide) in cells. Apoptosis: the second p is apparently silent. Everybody knows that insulin is the key hormone gone haywire in diabetes, right? Did you know it’s not the only one out of whack? Roger Unger and Alan Cherrington in The Journal of Clinical Investigation point out that another hormone—glucagon—is also very important in regulation of blood sugar in both types of diabetes. Insulin has a variety of actions the ultimately keep blood sugar levels from rising dangerously high. Glucagon, on the other hand, keeps blood sugar from dropping too low. For instance, when you stop eating food, as in an overnight or longer fast, glucagon stimulates glucose (sugar) production by your liver so you don’t go into a hypoglycemic coma and die. It does the same when you exercise, as your muscles soak up glucose from your blood stream. Glucagon works so well to raise blood sugar that we inject it into diabetics who are hypoglycemic but comatose or otherwise unable to swallow carbohydrates. Glucagon also has effects on fatty acid metabolism, ketone production, and liver protein metabolism, but this post is already complicated enough. So where does glucagon come from? The islets of Langherhans, for one. You already know the healthy pancreas has beta cells that produce insulin. The pancreas has other cells—alpha or α cells—that produce glucagon. Furthermore, the stomach and duodenum (the first part of the small intestine) also have glucagon-producing alpha cells. The insulin and glucagon work together to keep blood sugar in an fairly narrow range. Insulin lowers blood sugar, glucagon raises it. It’s sort of like aiming for a hot bath by running a mix of cold and very hot water. Ungar and Cherrington say that one reason it’s so hard to tightly control blood sugars in type 1 diabetes is because we don’t address the high levels of glucagon. The bath water’s not right because we’re fiddling with just one of the faucets. Maybe we’ll call this the Goldilocks Theory of Diabetes. When you eat carbohydrates, your blood sugar starts to rise. 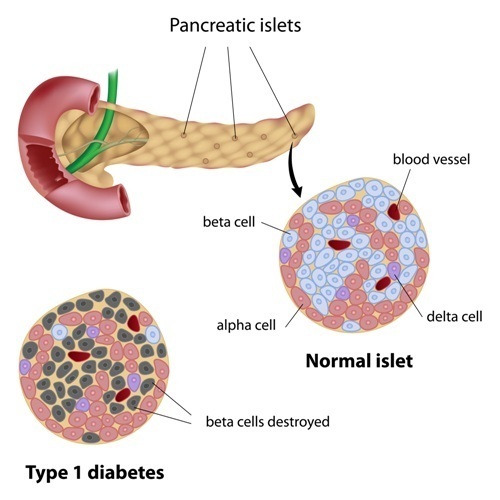 Beta cells in the healthy pancreas start secreting insulin to keep a lid on the blood sugar rise. This is not the time you want uncontrolled release of glucagon from the alpha cells, which would work to raise blood sugars further. Within the pancreas, beta and alpha cells are in close proximity. Insulin from the beta cells directly affects the nearby alpha cells to suppress glucagon release. This localized hormone effect is referred to as “paracrine guidance” in the quote below, and it takes very little insulin to suppress glucagon. Here, we review evidence that the insulinocentric view of metabolic homeostasis is incomplete and that glucagon is indeed a key regulator of normal fuel metabolism, albeit under insulin’s paracrine guidance and control. Most importantly, we emphasize that, whenever paracrine control by insulin is lacking, as in T1DM, the resulting unbridled hyperglucagonemia is the proximal cause of the deadly consequences of uncontrolled diabetes and the glycemic volatility of even “well-controlled” patients. All in all, it would seem that conventional monotherapy with insulin is incomplete because it can provide paracrine suppression of glucagon secretion only by seriously overdosing the extrapancreatic tissues. Elucidation of diabetes’ disease mechanisms (pathophysiology) can lead to new drugs or other therapies that improve the lives of diabetics. A potential drug candidate is leptin, known to suppress glucagon hyper secretion in rodents with type 1 diabetes. PS: Amylin is yet another hormone involved in blood sugar regulation, but I’ll save that for another day. If you can’t wait, read about it here in my review of pramlintide, a drug for type 1 diabetes. The global prevalence of metabolic diseases like obesity and type 2 diabetes, and its colossal economic and social costs represent a major public health issue for our societies. There is now solid evidence demonstrating the contribution of POPs [persistent organic pollutants], at environmental levels, to metabolic disorders. Thus, human exposure to POPs might have, for decades, been sufficient and enough to participate to the epidemics of obesity and type 2 diabetes. Based on recent studies, the fundaments of current risk assessment of POPs, like “concept of additive effects” or “dioxins and dl-PCBs induced similar biological effects through AhR”, appear unlikely to predict the risk of metabolic diseases. Furthermore, POP regulation in food products should be harmonized and re-evaluated to better protect consumers. Neglecting the novel and emerging knowledge about the link between POPs and metabolic diseases will have significant health impacts for the general population and the next generations. The cold-water fatty fish I so often recommend to my patients could be hurting them. They are major reservoirs of food-based POPs. For the opposing viewpoint, read the original study (linked at Dr. F’s blog) or search at Fanatic Cook. 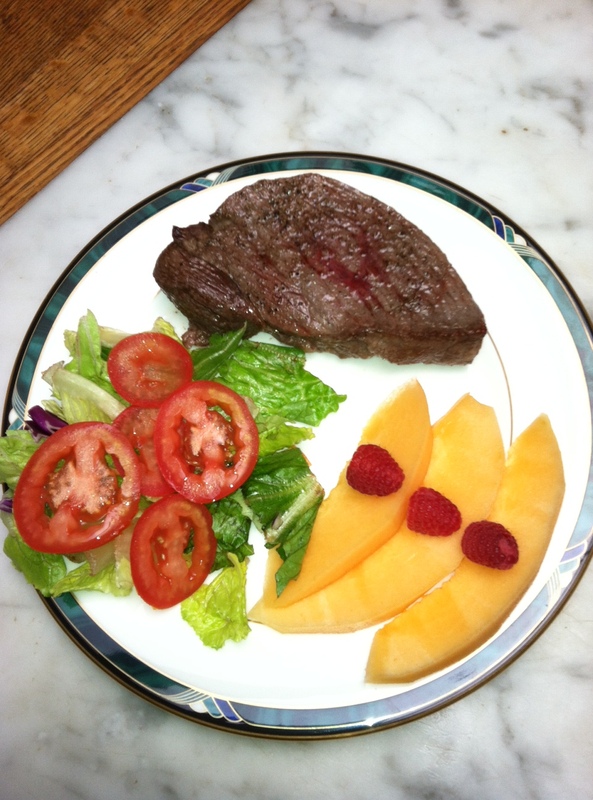 Do I worry that red meat causes diabetes? Not much. I await definitive research. According to Roy Taylor, M.D., “type 2 diabetes is a potentially reversible metabolic state precipitated by the single cause of chronic excess intraorgan fat.” The organs accumulating fat are the pancreas and liver. He is certain “…that the disease process can be halted with restoration of normal carbohydrate and fat metabolism.” I read Taylor’s article published last year in Diabetes Care. Dr. Taylor says that severe calorie restriction is similar to the effect of bariatric surgery in curing or controlling diabetes. Within a week of either intervention, liver fat content is greatly reduced, liver insulin sensitivity returns, and fasting blood sugar levels can return to normal. During the first eight weeks after intervention, pancreatic fat content falls, with associated steadily increasing rates of insulin secretion by the pancreas beta cells. The more fat accumulation in the liver, the less it is sensitive to insulin. If a T2 is treated with insulin, the required insulin dose is positively linked to how much fat is in the liver. Update: Some wild and crazy guys tried the Taylor method at home. Click for results. …according to an article at Diabetes Care. Visit the Linus Pauling Institute for dietary sources of magnesium. It remains to be seen, however, whether purposefully increasing your magnesium consumption via food or supplements will prevent diabetes. Do Environmental Contaminants Cause Type 2 Diabetes or Obesity? Posted on August 22, 2013 | Comments Off on Do Environmental Contaminants Cause Type 2 Diabetes or Obesity? A month ago I watched part of a documentary called “Plastic Planet” on Current TV (Now Al Jazeera TV). It was alarming. Apparently chemicals are leaking out of plastics into the environment (or into foods contained by plastic), making us diabetic, fat, impairing our fertility, and God knows what else. The narrator talked like it was a sure thing. I had to go to work before it was over. A couple chemicals I remember being mentioned are bisphenol A (BPA) and phthalates. I sorta freaked my wife out when I mentioned it to her. I always take my lunch to work in plastic containers and often cover microwaved food with Glad Press’n Seal plastic wrap. A few days later I saw a report of sperm counts being half of what they were just half a century ago. (It’s debatable.) Environmental contaminants were mentioned as a potential cause. So I spent a couple hours trying to figure out if chemical contamination really is causing obesity and type 2 diabetes. In the U.S., childhood obesity has tripled since 1980, to a current rate of 17%. Even preschool obesity (age 2-5) doubled from 5 to 10% over that span. In industrial societies, even our pets, lab animals (rodents and primates), and feral rats are getting fatter! The ongoing epidemics of obesity and type 2 diabetes, and our lack of progress in preventing and reversing them, testify that we may not have them figured out and should keep looking at root causes to see if we’re missing anything. Straightaway, I’ll tell you it’s not easy looking into this issue. The experts are divided. 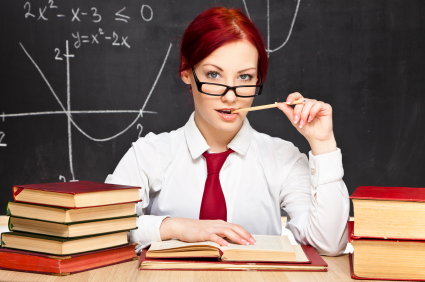 The studies are often contradictory or inconsistent. One way to determine the cause of a condition or illness is to apply Bradford Hill criteria (see bottom of page for those). We could reach a conclusion faster if we did controlled exposure experiments on humans, but we don’t. We look at epidemiological studies and animal studies that don’t necessarily apply to humans. Regarding type 1 diabetes and chemical contamination, we have very little data. I’ll not mention type 1 again. What Does the Science Tell Us? For this post I read a couple pertinent scientific reviews published in 2012, not restricting myself to plastics as a source of chemical contaminants. The first was REVIEW OF THE SCIENCE LINKING CHEMICAL EXPOSURES TO THE HUMAN RISK OF OBESITY AND DIABETES from non-profit CHEM Trust, written by a couple M.D., Ph.D.s. I’ll share some quotes and my comments. My clarifying comments within a quote are in [brackets]. Literature like this talks about POPs: persistent organic pollutants, sometimes called organohalides. The POPs and other chemical contaminants that are currently suspicious for causing obesity and type 2 diabetes include arsenic, pesticides, phthalates, metals (e.g., cadmium, mercury, organotins), brominated flame retardants, DDE (dichloro-diphenyldichloroethylene), PCBs (polychlorinated biphenyls), trans-nonachlor, dioxins. Another term you’ll see in this literature is EDCs: endocrine disrupting chemicals. These chemicals mess with hormonal pathways. EDCs that mimic estrogen are linked to obesity and related metabolic dysfunction. Some of the chemicals in the list above are EDCs. The fear—and some evidence—is that contaminants, whether or not EDCs, are particularly harmful to embryos, fetuses, and infants. For instance, it’s pretty well established that mothers who smoked while pregnant predispose their offspring to obesity in adulthood. (Epigenetics, anyone?) Furthermore, at the right time in the life cycle, it may only take small amounts of contaminants to alter gene expression for the remainder of life. For instance, the number of fat cells we have is mostly determined some time in childhood (or earlier?). As we get fat, those cells simply swell with fat. When we lose weight, those cells shrink, but the total cell number is unchanged. What if contaminant exposure in childhood increases fat cell number irrevocably? Does that predispose to obesity later in life? The authors note that chemical contaminants are more strongly linked to diabetes than obesity. They do a lot of hemming and hawing, using “maybe,” “might,” “could,” etc. They don’t have a lot of firm conclusions other than “Hey, people, we better wake up and look into this further, and based on the precautionary principle, we better cut back on environmental chemical contamination stat!” [Not a direct quote.] It’s clear they are very concerned about chemical contaminants as a public health issue. I found some data that don’t support that conclusion, however. Here’s a graph of U.S. smoking rates over the years since 1944. Note that the smoking rate has fallen by almost half since 1983, while obesity rates, including those of children, are going the opposite direction. If in utero cigarette smoke exposure were a major cause of U.S. childhood obesity, we’d be seeing less, not more, childhood obesity. I suppose we could still see a fall-off in adult obesity rates over the next 20 years, reflecting lower smoking rates. But I doubt that will happen. The CDC suggests a slight drop in childhood obesity in recent years (2010 data). In case it’s not obvious, remember that “association is not the same as causation.” For example, in the Northern hemisphere, higher swimsuit purchases are associated with summer. Swimsuit sales and summer are linked (associated), but one doesn’t cause the other. Swimsuit purchases are caused by the desire to go swimming, and that’s linked to warm weather. In at least one of these two review articles, I looked carefully at the odds ratios of various chemicals linked to adverse outcomes. One way this is done is too measure the blood or tissue levels of a contaminant in a population, then compare the adverse outcome rates in animals with the highest and lowest levels of contamination. For instance, if those with the highest contamination have twice the incidence of diabetes as the least contaminated, the odds ratio is 2. You could also call it the relative risk. Many of the potentially harmful chemicals we’re considering have a relative risk ratio of 1.5 to 3. Contrast those numbers with the relative risk of death from lung cancer in smokers versus nonsmokers: the relative risk is 10. Smokers are 10 times more likely to die of lung cancer. That’s a much stronger association and a main reason we decided smoking causes lung cancer. Odds ratios under two are not very strong evidence when considering causality; we’d like to have more pieces of the puzzle. These guys flat-out said arsenic is not a cause of diabetes in the U.S. Overall, the authors of the second article I read were clearly less alarmed than those of the first. Could the less-alarmed panelists have been paid off by the chemical industry to produce a less scary report, so as not to jeopardize their profits? I don’t have the resources to investigate that possibility. The workshop was organized (and paid for, I assume) by the U.S. government, but that’s no guarantee of pure motivation by any means. You need a break. Enjoy. For sure, if I were a momma rat contemplating pregnancy, I’d avoid all those chemicals like the plague! It’s premature to say that these chemical contaminants are significant causes of obesity and type 2 diabetes in humans. That’s certainly possible, however. We’ll have to depend on unbiased scientists to do more definitive research for answers, which certainly seems a worthwhile endeavor. Something tells me the chemical producers won’t be paying for it. Universities or governments will have to do it. You should keep your eyes and ears open for new evidence. There’s more evidence for chemical contaminants as a potential cause of type 2 diabetes than for obesity. Fetal and childhood exposure may be more harmful than later in life. If I were 89-years-old, I wouldn’t worry about these chemicals causing obesity or diabetes. For those quite a bit younger, taking action to avoid these environmental contaminants is optional. As for me, I’m drinking less water out of plastic bottles and more tap water out of glass or metal containers. Yet I’m not sure which water has fewer contaminants. Humans, particularly those anticipating pregnancy and child-rearing, might be well advised to minimize exposure to the aforementioned chemicals. For now, I’ll leave you to your own devices to figure out how to do that. Good luck. Why not read the two review articles I did and form your own opinion? Unless the chemical industry is involved in fraud, bribery, obfuscation, or other malfeasance, the Plastic Planet documentary gets ahead of the science. I’m less afraid of my plastic containers now. Sarah Howard at Diabetes and the Environment (focus on type 1 but much on type 2 also). Jenny Ruhl, who thinks chemical contaminants are a significant cause of type 2 diabetes (search her site). The Bradford Hill criteria, otherwise known as Hill’s criteria for causation, are a group of minimal conditions necessary to provide adequate evidence of a causal relationship between an incidence and a consequence, established by the English epidemiologist Sir Austin Bradford Hill (1897–1991) in 1965. Strength: A small association does not mean that there is not a causal effect, though the larger the association, the more likely that it is causal. Consistency: Consistent findings observed by different persons in different places with different samples strengthens the likelihood of an effect. Coherence: Coherence between epidemiological and laboratory findings increases the likelihood of an effect. However, Hill noted that “… lack of such [laboratory] evidence cannot nullify the epidemiological effect on associations”. Experiment: “Occasionally it is possible to appeal to experimental evidence”. Science-Based Medicine blog has more on Hill’s criteria. Comments Off on Do Environmental Contaminants Cause Type 2 Diabetes or Obesity? In T2 Diabetes, Which Comes First: High Insulin Levels or Insulin Resistance? I couldn’t find a decent picture of a liver or pancreas, so this will have to do…. I’ve written elsewhere about the potential causes of T2 diabetes (here and here, for example). There’s a new theory on the block. Excessive insulin output by the pancreas (hyperinsulinemia) is the underlying cause of type 2 diabetes, according to a hypothesis from Walter Pories, M.D., and G. Lynis Dohm, Ph.D. The cause of the hyperinsulinemia is a yet-to-be-identified “diabetogenic signal” to the pancreas from the gastrointestinal tract. This is pretty sciencey, so you’re excused if you stop reading now. You probably should. 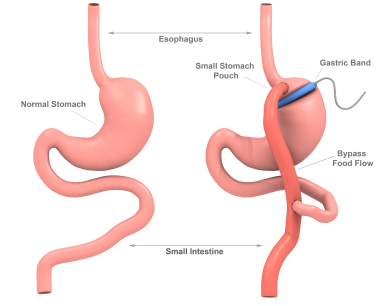 They base their hypothesis on the well-known cure or remission of many cases of type 2 diabetes quite soon after roux-en-y gastric bypass surgery (RYGB) done for weight loss. (Recent data indicate that six years after surgery, the diabetes has recurred in about a third of cases.) Elevated fasting insulin levels return to normal within a week of RYGB and remain normal for at least three months. Also soon after surgery, the pancreas recovers the ability to respond to a meal with an appropriate insulin spike. Remission or cure of type 2 diabetes after RYGB is independent of changes in weight, insulin sensitivity, or free fatty acids. Bariatric surgery provides us with a “natural” experiment into the mechanisms behind type 2 diabetes. Why would fasting blood sugar levels fall so soon after RYGB? To understand, you have to know that fasting glucose levels primarily reflect glucose production by the liver (gluconeogenesis). It’s regulated by insulin and other hormones. Insulin generally suppresses gluconeogenesis. The lower insulin levels after surgery should raise fasting glucose levels then, don’t you think? But that’s not the case. Pories and Dohm surmise that correction of hyperinsulinemia after surgery leads to fewer glucose building blocks (pyruvate, alanine, and especially lactate) delivered from muscles to the liver for glucose production. Their explanation involves an upregulated Cori cycle, etc. It’s pretty boring and difficult to follow unless you’re a biochemist. The theory we’re talking about is contrary to the leading theory that insulin resistance causes hyperinsulinemia. Our guys are suggesting it’s the other way around: hyperinsulinemia causes insulin resistance. It’s a chicken or the egg sort of thing. If they’re right, Pories and Dohm say we need to rethink the idea of treating type 2 diabetes with insulin except in the very late stages when there may be no alternative. (I would add my concern about using insulin secretagogues (e.g., sulfonylureas) in that case also.) If high insulin levels are the culprit, you don’t want to add to them. We’d also need to figure out what is the source of the “diabetogenic signal” from the gastrointestinal tract to the pancreas that causes hyperinsulinemia. A number of stomach and intestinal hormones can affect insulin production by the pancreas; these were not mentioned specifically by Pories and Dohm. Examples are GIP and GLP-1 (glucose-dependent insulinotropic polypeptide and glucagon-like peptide-1). Keep these ideas in mind when you come across someone who’s cocksure that they know the cause of type 2 diabetes. Reference: Pories, Walter and Dohm, G. Lynis. Diabetes: Have we got it all wrong? Hyperinsulinism as the culprit: surgery provides the evidence. Diabetes Care, 2012, vol. 35, p. 2438-2442.